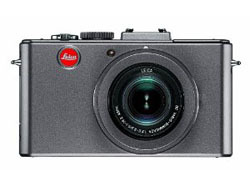 Photography Blog has tested a high end compact camera from Leica with a beautiful design. The camera is called Leica D-Lux 5 Titanium and is targeted at users with a thick wallet. Photography Blog ends up giving the D-Lux 5 Titanium a “Recommended” rating with an overall score of 4 out of 5 possible stars. The Leica camera scores highest on image quality, design, ease of use and features, while it scores very low on value for your money. It is expensive to walk around with a Leica camera and it is the same with this model, but if you have the money and want the red and white logo on your camera this is a good choice, or you could buy the Panasonic branded version for a lot less. Read the full review of the Leica D-Lux 5 Titanium premium compact camera here.